Many students who wish to attain a music degree have wondered if it is possible to get a music degree from a Christian college. If you are someone who is hoping to pursue a career in music while attending a Christian college at the same time, you will be glad to know the answer is yes. Some Christian colleges even offer master’s degrees in areas such as music technology and music education. 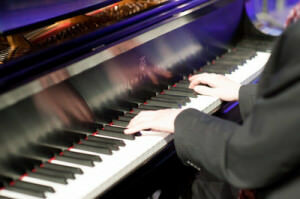 The task to find the best Christian college to earn a music degree can be a daunting one. According to the National Center for Education, there are over 900 Christian colleges in the United States alone. So how do you go about knowing which school is best for pursuing a degree in music? There are many factors to consider including cost, proximity to home, what denomination the school is associated with and what types of music degrees are offered by the school. Many students find it in their best interest to talk to friends and family who might know of someone who attended a particular school of interest. Another good idea is to simply visit the school and talk to the staff yourself. The good news is that no matter which Christian college is chosen, they will likely offer a degree in music. There are also many other kinds of jobs like music teachers, music journalists or music therapists that may require an additional degree or specialized certification. Even if you don’t wish to work in a religious setting getting a music degree from a Christian college is certainly a great idea. There are many schools from which to choose and a plethora of job opportunities in the music industry.